Come back Kids is a Western Association of Schools and Colleges (WASC) accredited high school and all courses are based on the California State Academic Standards (Common Core State Standards). CBK requires 200 credits to graduate. The following table lists the credit requirements in each subject area. English Language Development (ELD) in Grade 9 earns ELA credit. 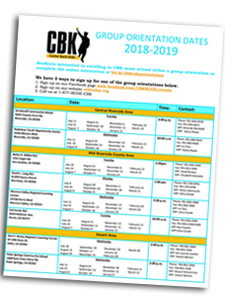 CBK conducts graduation ceremonies at the end of the year for 12th grade students who meet the graduation requirements.